A few weeks ago, we exclusively reported that Samsung is working on multiple new wearable devices. Of the lot, the Galaxy Buds and the Galaxy Fit have now moved closer to an official launch. 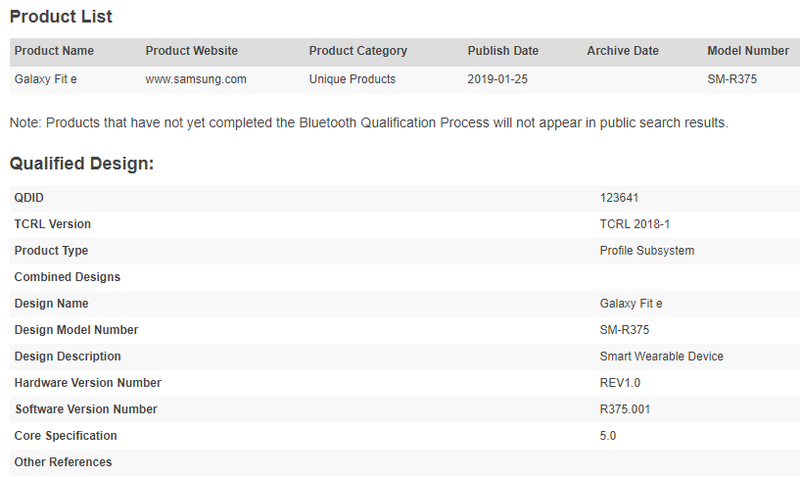 The two upcoming devices have just received their Bluetooth certification. The Galaxy Buds are the successor to the Gear IconX (2018) earbuds, while the Galaxy Fit will be the next generation of Samsung’s fitness trackers. 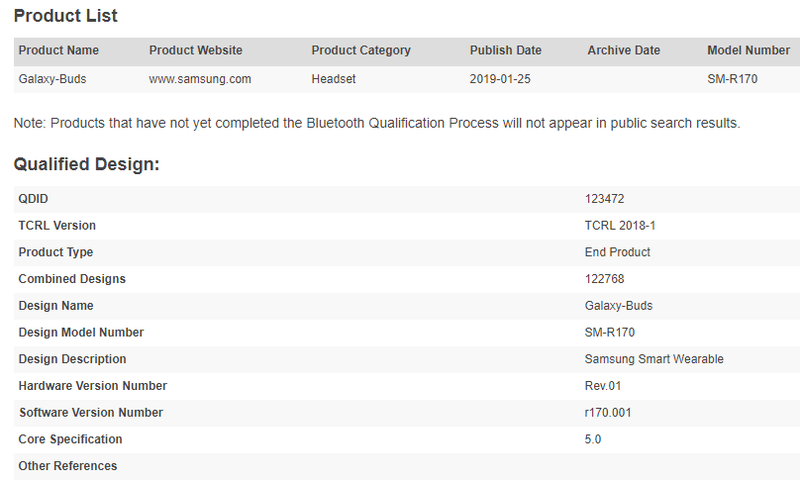 Samsung Galaxy Buds, bearing the model number SM-R170, have just popped up on the Bluetooth SIG website. It is the same device we exclusively reported about earlier this month. It will be available in black, white, and yellow and will come with 8GB of internal storage space. The Bluetooth certification also reveals that the new hardware will support Bluetooth 5.0. The Galaxy Fit, on the other hand, will be available in two variants with model number SM-R370 and SM-R375. The model number to receive the Bluetooth certification is SM-R375, and it also gets support for Bluetooth 5.0. Interestingly, the product is listed as “Galaxy Fit e”. It’s unclear what that “e” means – maybe the tracker will have eSIM support? Both Galaxy Fit variants will be available in black, silver, white and yellow colors. There’s no word yet on when Samsung is planning to unveil these devices. The Galaxy Unpacked 2019 on February 20 seems the best bet for now.